Are you confused with the huge number of cloud companies nowadays? You’re not alone. On one side, there are sole cloud providers who have all the applications and programs that you need in one online location. Then on the other hand, there are providers that offer only specific types of cloud services. Anyone can be just as confused for sure. As a small business owner, you have to think of ways to remain competitive in a saturated market. The best way to do so is by constantly innovating through the use of emerging technologies and business trends. When implemented correctly, they will create a positive impact on your company operations and will help accelerate the growth of your business. If you are looking for some small business ideas for 2019, then here are the upcoming business techs and trends that will help your company. 2019 is officially here and in case you missed the chance to make a business investment last year, don’t worry. this year has even more potential for profitable ventures. There are many emerging small business industries where you can build startups and we listed them down for you. Many companies around the world are undergoing or have undergone digital transformation. This involves incorporating digital technology into different business processes and activities that will create significant changes in the way your company operates. It’s neither an easy undertaking to complete, nor a cheap investment to make. Yet, digital transformation is important for your business. We’ll break down the reasons why. Running a small business can be overwhelming. The average business owner has most likely accepted this fact. There’s everything to focus on to keep your business running smoothly and growing steadily. The good news is that with technology booming, there are more than enough online business tools to manage almost every aspect of your business. The tech industry moves at lightning speed. And Hackers? They’re five steps ahead of all of us. This is why it’s so important to take every precaution possible in order to protect business and customer information. Five tips to help you protect your most important business information from hackers. Google is in the middle of reinventing itself. A large part of that makeover deals with artificial intelligence and virtual reality. Google’s CEO revealed updates to Google Lens technology at Google I/O, the company’s annual conference for developers. The updates will bring visual search to the mainstream, forever changing the way we use our cameras. As many as 90% of small to medium businesses don’t use cyber security to protect company and customer information. This may be because SMB’s are not finding it a priority to invest in an online security system, due to either the lack of knowledge, lack of time and attention, or possibly the idea that there isn’t as much at stake compared to larger organizations. Either way, cyber threats are part of the reality that is expanding just as fast as the digital world. The average SMB uses 5-15 apps daily! 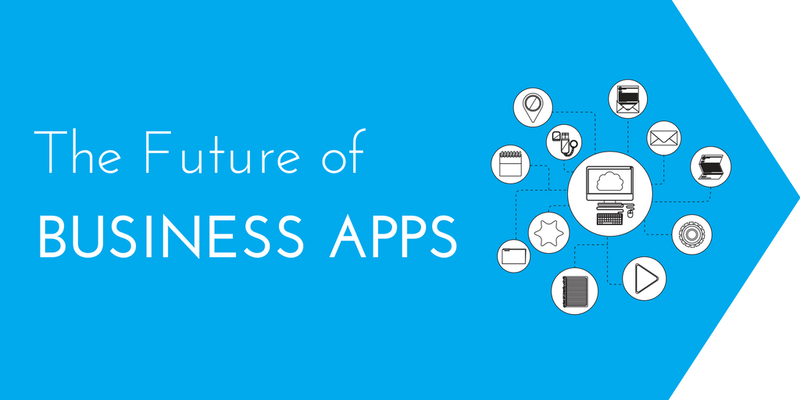 Our infographic illustrates how the future of business apps will conquer 'app mania' using automation to make day-to-day app management more efficient. It’s safe to say that in today's day in age the cloud is here to stay. No, not the white masses floating in the sky, but the cloud computing technology that allows people and companies to transfer, store and process data.